Does your in-flight drink lack that certain something, a bit of citrus formerly provided by a lime? While I’m sorry for your loss, there are bigger problems than that out there, like drug cartels waging war with each other and natural disasters wreaking havoc with farmers’ crops. You can blame those issues for a temporary lime shortage that’s prompting many airlines to make do without lemon’s green sibling. According to the Associated Press, there’s a lime shortage in the Mexican state of Michoacan after growers cut down their supply due to unrest caused by drug cartels, as well as flooding from heavy rain. Both are no good for lime lovers, and of course, even worse for the people living there. Add in the drought in California and the price of limes is spiking, leading some airlines to drop limes from their beverage services — for now. 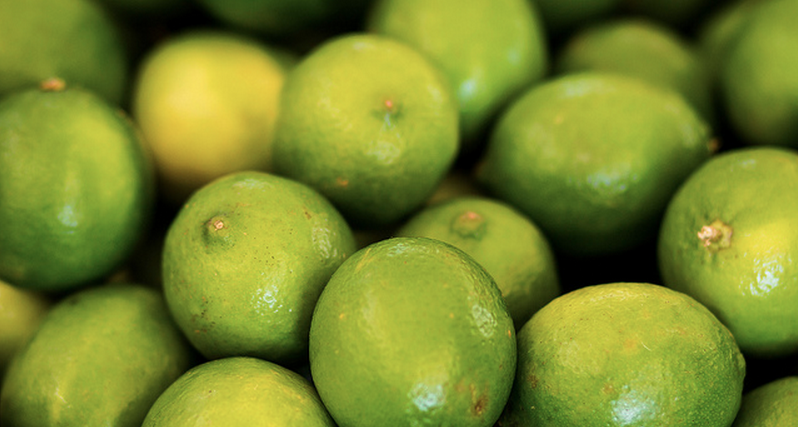 The average price of a lime is about $0.56 as of last week, up from $0.31 during the same period a year ago. “We temporarily pulled limes about two weeks ago, due to skyrocketing lime prices,” says an Alaska Airlines spokeswoman, noting that the airline usually goes through about 900 limes a day. United Airlines is making do with lemons in some cases, citing the California drought. But alas, lemons won’t do it for everyone in the lime-loving set. “We still serve limes, though they’re more difficult to source. So, on some flights we’re substituting with lemons,” says a United spokesman. The airline says it expect to be back to normal lime supplies by late May. Over at Delta Air Lines and American Airlines, limes are still in full effect, the companies report. And JetBlue won’t be making changes either — it uses crystallized citrus additives instead of real fruit already. We can get through this together, believe me. It’s a whole lot easier to do than dealing with drug cartels and floods destroying where you live, after all [steps down from soapbox]. Previous What Is This Scary Heartbleed Bug, And Why Is Everyone Freaking Out About It?